At Klein and Clark sports, our passion is producing quality events at a fair price. We have worked for over 25 years to create professional races with a grassroots feeling. We have always held true to our belief that without the athletes/participants, we wouldn’t have a company. With that in mind we have always tried to create an environment that makes crossing the finish line a great experience for every athlete involved. Founder and Owner Greg Klein has been an endurance athlete for 30+ years completing over 50 marathons and ultra marathons. He has raced in three Western States 100 mile runs, the Angeles Crest 100 miler and the Vermont 100 miler in addition to several 50 mile and 50K runs. Greg has also competed in over 25 triathlons including the Hawaiian Ironman in Kona, and 3 Canadian Ironman’s. He has also finished the “Worlds Toughest Triathlon” in Lake Tahoe, the Nice France Triathlon World Championships, and several Xterra Triathlons including the World Championships in Maui. He also enjoys adventure racing, mountain biking and mountain climbing. He has done several 24 hour and 48 hour adventure races, and three - 7-day full expedition races. 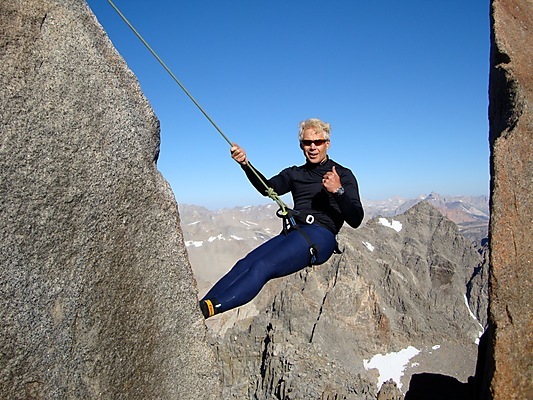 He has also completed climbing all 15 of California’s 14,000' peaks. Greg has directed and worked on over 400 events over the past 30 years and helped raise over 4 million dollars for charities. Co-Founder of Klein and Clark Sports in 1985, Brenda has been an integral part of the 30 years of success. Her organizational and skills has helped tremendously in the over 300 quality events that Klein Clark Sports has produced safely. Diagnosed with type one diabetes in 1987, Brenda faced a whole new challenge in her life having to balance the rigors of this terrible disease and the incredible demands that comes with event production. Brenda completed a duathlon and a couple of 5K events and continues to walk for exercise. Though running and triathlons were never her passion, she did get tremendous satisfaction from seeing an event go from just an idea to fruition. “Even though at the end of each event we were exhausted, I always enjoyed seeing all the smiles on the faces of our participants, and getting the many kind emails and responses. It made it all worthwhile knowing we did a good job”. Brenda is also very proud of all the money we have raised in our community through the events. “Millions of dollars have gone to great causes over the years from our hard work and I am especially proud of the nearly $900,000 we have raised to find a cure for breast cancer through our Women Running Wild events every year.